The background kit let you quickly set up any paper background on your set. 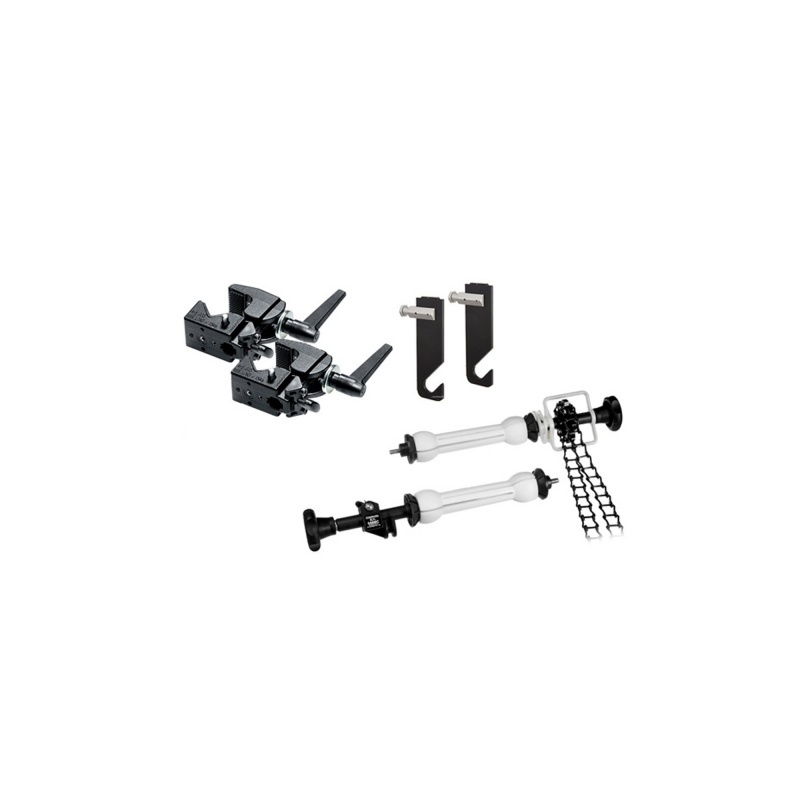 The chain enables you to quickly and safely adjust the height of your background without having to lower the support stands, saving you precious time while you work. To use in combination with 2 autopole’s.